BWYA at the United Nations! Home Uncategorized BWYA at the United Nations! 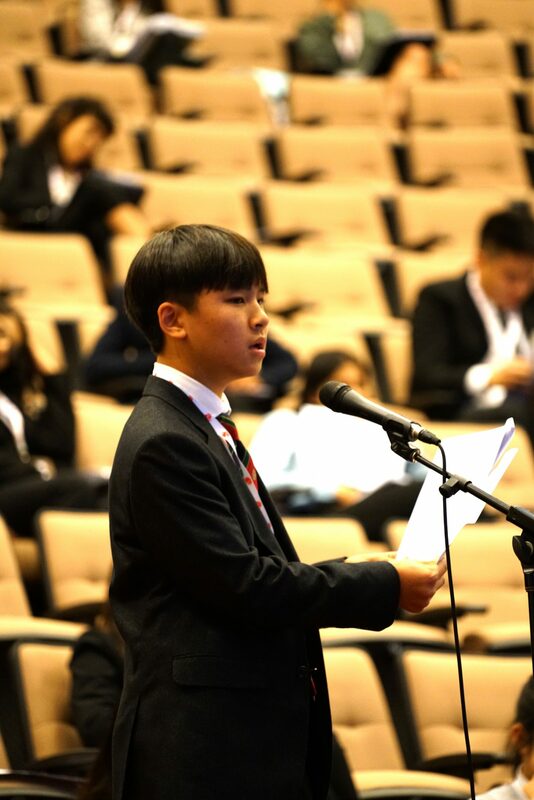 Last week (19th to 23rd November), a delegation of BWYA students travelled to Singapore to attend the annual The Hague International Model United Nations conference (THIMUN). This year, participating with students from over 50 international schools around the world in the debates and activities, BWYA sent 26 delegates – our highest number yet. Roles taken by our students included conference journalist, vice-chairman of the UN General Assembly, and judge of the UN International Court of Justice. Whether it’s the public speaking, or in-depth study of current global hot-topics, this experience not only exercises students’ leadership and presentational skills, but also encourages students to step out of their comfort zone, understanding the world at large around them, becoming truly ‘locally grounded, globally aware’ world citizens. For more stories, let’s hear what some of our students had to say! “I participated as a Judge in the ICJ committee (International Court of Justice), and it was a very memorable experience for me because it was my first time participating in such a committee. The ICJ is very different in terms of procedure and content from regular MUN committees, so I was able to learn a lot. “In THIMUN, I was a delegate of Ethiopia at the Human Rights Council. It was one of the most unique experiences in my life and is related to the motto of our school ‘locally grounded, globally aware’. Because in the conference, I learned to discuss many topics I’ve never even thought about before, like the practice of female genital mutilation in Africa and Southeast Asia.